Cakes & More: My First Award!! Am super excited to get the my first, first award, Kreative Blogger Award from Madhuri of Cook-Curry Nook. Thanks a ton Madhuri!! You made my day!! Love the way she has been making healthy recipes tasty too. Keep them coming Madhuri!! Will always cherish this award which came in just a day after my blog turns a month-old. Its been a super month and am loving every minute of blogging and meeting the foodie clan. Now I am to share 7 things about myself (which you don't know). Hmmm..
1. I am extremely passionate about my work and totally agree with "Love the work you do and you will never have to work a day in your life'. 2. For all my love for eating and sweets, I can be extremely determined when I decide to go an a diet. I totally gave up eating sweets(YES!) for almost 6 months, baked quite a bit during that period too. Of course, when I binge, I BINGE!!! 3. If I were not passionate about my office work, I would surely have spent my free time working at a bakery or for a dessert chef and for free!! 5. I love listening to old Hindi and Kannada songs, Mohammad Rafi my fav singer. 6. I am a very clumsy, clumsy driver. Don't worry, I don't drive!! 7. I am terrible at drawing, art, craft and the kind. My cake designs are testimony to my unsteady hand:-)) Dread any similar assignments my son gets at school. Now comes the difficult part of receiving the award. 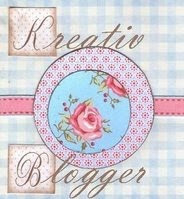 I need to nominate 7 more bloggers, seriously tuff as there are so many wonderful blogs and bloggers out there. Somebody increase the numbers please!! Congratulations All ! Keep inspiring !! Congratulations Dear! may u get more n more such awards! n Thanks a bunch for sharing award with me..Thats so kind of you!! Check my blog, Suma. The email address has been updated. Apologies for the inconvenience. Thanks again! My pleasure! Im so glad I could make your day. Thanks for your kind words on my blog. Its people like you who encourage me to keep going, regardless of other obstacles that come in the way! Thanks so much. Keep your luscious posts coming! Congrats on the award Suma and thanks for passing it on!!! hey Suma! Congratulations! You really deserve the award. Also, thanks so much for nominating me. You made my day.